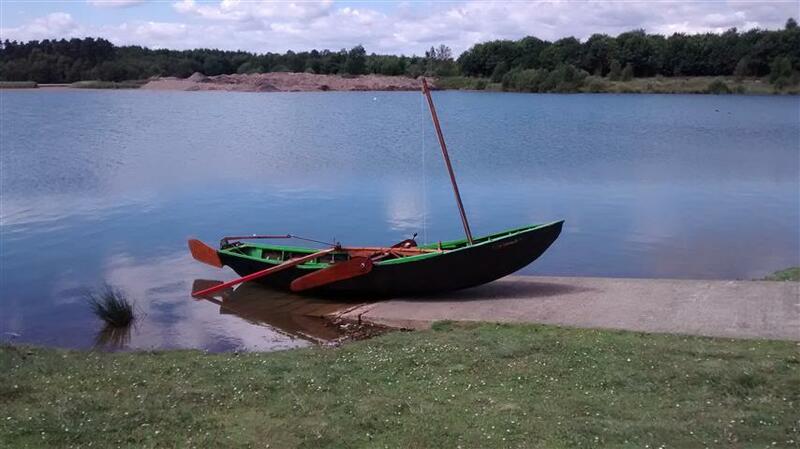 Seán Carney from the UK sent these pictures to us at Leeboards.com in August 2014 of his Currach which he has adapted for sailing. He states that more work needs to be done with the Leeboards and at present he's working on a slightly wider teardrop design. He uses a false thwart clamped to the gunnels, the boards are then clamped to brackets and fastened with clamping handles. 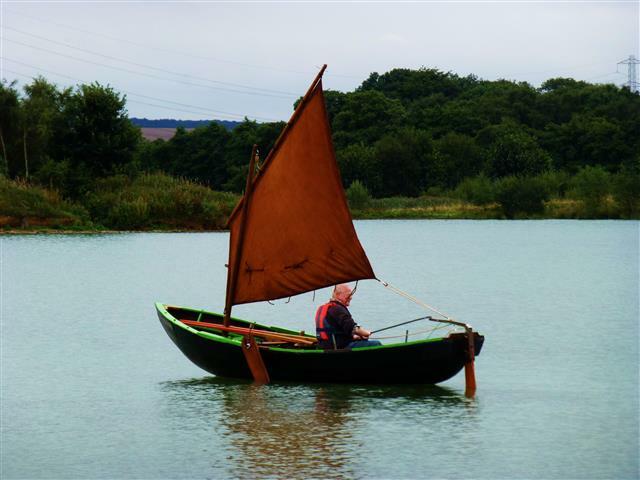 The craft is cettainly unique and Seán states that he has many admirers there on the coast of North Yorkshire UK.